Why is this a fun game? 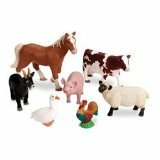 Preschool activity ideas like Barnyard Match Up are twists on old games for kids that we all know and love, like Hide & Seek and Marco Polo. We took these two games and converted them into a party game by changing up the goal from not being found to finding your partner the quickest. Players are divided up into groups of 4. Each group is given the name of a barnyard animal (pigs, ducks, dogs, cats, etc) and scattered around the playing area. All the players are given a blindfold to put on. They are trying to recognize similar animal sounds and gather together with the other members of their group. The winners are the first group to gather all of their players together. Modifications: For younger players or those with disabilities – Have the players stay down on their hands and knees. Encourage them to move slowly and feel for where they are going so they don't run into anyone. Make sure the playing area is safe and free from hazards. Make sure players are not cheating by looking through their blindfolds. Group members should be spread throughout the playing area at the start of the game and not too close to each other. Adjust the size and number of groups as necessary. Movement should be slow and controlled. Walking slowly or crawling should work. Try to gather 2 groups of animals together, like dogs and cats. Players bark and meow and listen for other barks and meows to come together. Have one group of animals try to herd another group of animals. We've got plenty more free pre-k ideas to choose from. 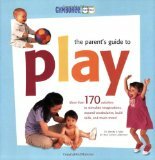 You might also be interested in toddler games or baby games if your kids a little younger. These games are perfect for one-on-one interactions with your preschooler, and they can be easily modified if necessary to fit your child's needs and ability level.